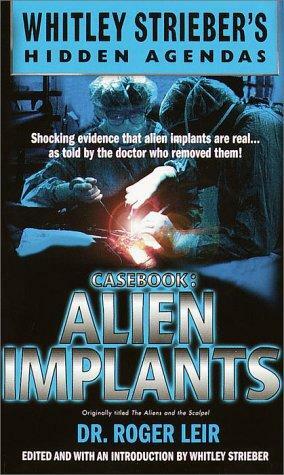 Shocking evidence that alien implants are real...as told by the doctor who removed them! Alien implants. The objects are real. The facts.are indisputable. But where did they come from? Gathered here in shocking detail is hard evidence the medical community has long denied: tangible proof that alien implants are real. They cannot be explained by science. They did not come from earth. And each possesses the unmistakable characteristics of alien origin. In this eye-opening book, Dr. Roger Leir--a true pioneer in this extraordinary field--documents eight amazing stories of unknown objects being removed from persons reporting alien abduction. The results are some of the most astonishing finds of any UFO research to date. The question remains: Are we the beneficiaries of implantation...or its victims?